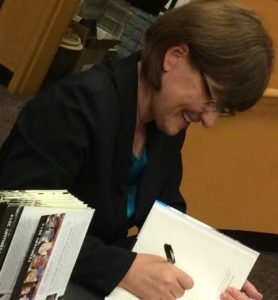 Author Events – Kristen Nelson, D.V.M. Coated With Fur: A Vet’s Life – This presentation starts with an introduction to the human-animal bond and the health benefits that come from spending time with animals. 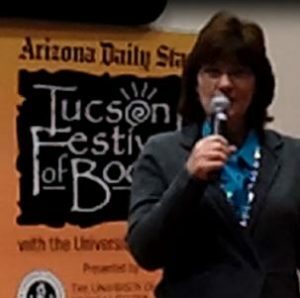 After learning about how people who live with pets have lower levels of triglycerides and cholesterol as well as lower blood pressure, Dr. Nelson tells stories of animals who diagnose human disease. She then moves onto the book with pictures of the Minnesota Veterinary Center and some of the characters from the book. Coated With Fur: A Blind Cat’s Love – This presentation starts with an introduction to One Health, a term used to describe the relation between the environment, animals and people. Coined by a veterinarian, the One Health initiative brings experts together from multiple disciplines for the betterment of all. For example, osteosarcoma (bone cancer) in dogs is similar to bone cancer in humans. A vaccine has been developed to mop up any cancer cells left over after amputation of the diseased limb in dogs. The vaccine is being evaluated by the USDA for use in people as well as dogs. Next, Dr. Nelson highlights stories including Ivan the big tough Doberman falling for a blonde cocker spaniel with long eyelashes. She ends with the story of Radar, the blind cat, comforting a young boy with an eye patch. *Understand the physical, emotional and psychological benefits of animals. *Learn about animals who diagnose people. *Improve communication and form deeper connections with insight from the animal kingdom. *Show people you care with efficient, cost-effective methods. *When problems arise, use a new perspective to strengthen relationships. Virtual Appearance for Book Clubs – One of my favorite activities is meeting other animal lovers and sharing wonderful stories. 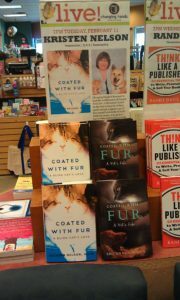 If you would like to have me speak to your book club about writing the Coated With Fur series, the animals in the book or anything related to veterinary medicine, please contact me at drnelson@veterinarycreative.com. I am happy to appear to book clubs or other organizations through the internet. All you need is a computer with high speed internet access. Every month, I do a limited number of these events free of charge on a first come, first serve basis. I am also happy to appear in person. Please contact me for further details! Copyright © 2019 Kristen Nelson, D.V.M.